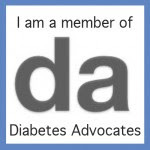 Don't worry, this post is not about perfect blood sugars. Only people with fully functioning pancreases (pancreai?) can achieve this. But sometimes, other things seem perfect. Things that really seem rather silly. Take, for example, my last set change. I disconnect the pump, and pull out the Quick-set. I go to throw the set away, when I stop in my tracks. 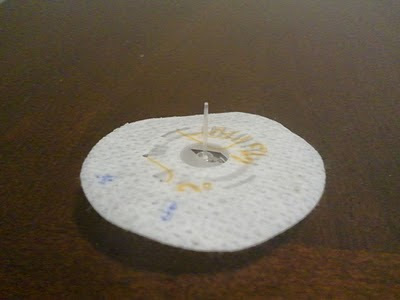 No, the cannula isn't kinked, nor is it filled with blood. The cannula is clear, standing straight and tall. It is, in fact, perfect. I stand there, looking at the set, and think, "It's beautiful!" So what do I do? Grab the camera, of course. I realize how silly it is to be this excited about a set. But I'll take perfection, in any form, when I can get it.